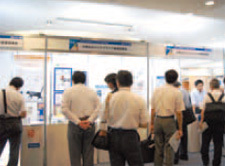 The Chamber of Commerce and Industry is involved in numerous activities aimed at helping the development of commerce and industry in Kawasaki City. While Kawasaki City has grown up as an industrial city with a manufacturing base, it has made great progress in recent years through a series of innovations made as an industrial and environmental city, including research into environmental technology. 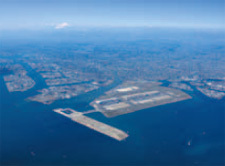 The further expansion of Haneda Airport and the introduction of international flights have focused fresh attention on the attractions of the Keihin waterfront district and sightseeing tours of the area's factories are proving popular as a form of industrial tourism, including nighttime tours. Culturally, the city is giving birth to new content industries and becoming a center for movies, music, and sport. With a population of more than 1.43 million, Kawasaki is also being recognized as a major center of consumption including developments such as large shopping areas and the construction of a new JR railway station. The city is also putting considerable effort into bringing the town to life by staging events in shopping areas. With an eye to the fast-growing future of Kawasaki, we intend to take an active role in areas including proposing policy, lobbying, and upgrading transport infrastructure. 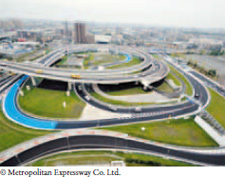 Enhancing the main intra-city arterial routes and inter-island transport infrastructure in the waterfront area will act as a powerful source of industry development and is an essential part of the strategic development of local industry (attracting visitors from the central area in the prefecture to the Kanagawa river mouth area, road access from the waterfront to the Tomei Expressway, etc.) and we have a number of actions in progress to achieve this goal. To support the development of new products and technologies by small and medium-sized manufacturing businesses, we are working to support manufacturing industry by seeking to expand the activities of our Techno Plaza which provides mentors (retirees) from large technology companies while also working with relevant institutions that support manufacturing and locally based collaboration between industry, academia, and government. Also active in this area is the Kawasaki Monodukuri Brand Promotion Association which certifies and promotes the excellent products and technologies of small and medium-sized manufacturing businesses. We run "Buy Kawasaki Campaign" to identify the specialties of Kawasaki City and encourage wider awareness and purchase of local products, and undertake extensive public relations activities in Kawasaki to expand consumption within the city such as shopping, giving preference to local suppliers, and so on. 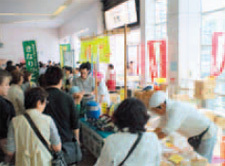 We help promote local shopping areas and encourage activity through services such as one that certifies products as being specialties of Kawasaki City. In collaboration with relevant institutions, we undertake activities aimed at promoting new industries and industrial tourism as well as attracting industry and research institutions to the Kawasaki waterfront which has huge potential as a land, sea, and air junction. In particular, we are proceeding with several business initiatives aimed at establishing a knowledge-intensive industry hub based around advanced leading-edge medical facilities especially at the mouth of the Kanagawa River.